November 10, 2011  Tried in absentia, he was found guilty of conspiring to steal data that might clear his name. The judges said there was no direct evidence linking Landis to the crime, but that he benefited from it. 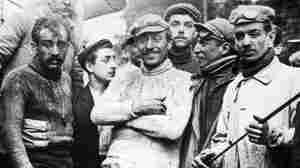 July 22, 2011  The 98th Tour de France ends in two days. That's an excuse to look back at earlier races. June 30, 2011  A friendship over fixed-gear bikes blossoms as a Flickr user battles cancer — and shares his experience with the world. May 20, 2011  The cycling legend has used the Web, and in particular his Twitter page, to hit back hard against the latest allegation that he used a performance-enhancing drug when he was competing. And he's raised questions about his accuser's credibility. 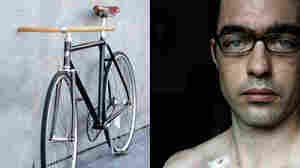 February 15, 2011  Spain's cycling federation says he can race again. The sport's international governing body, though, can appeal that decision. 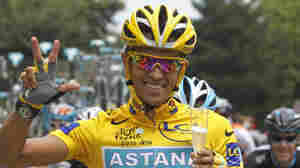 Contador, 28, has won the Tour de France three times. October 9, 2007  Why do athletes feel they must dope?